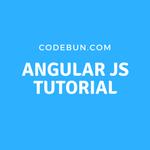 How to read data from server using AngularJS HTTP Get method. AngularJS filters : AngularJS filters are used to display the data in a proper format or a specific format. Like Format a number to a currency format, Format a string to uppercase or lowercase and so on. In this tutorial, I am going to show you AngularJS standard filters. AngularJS custom filters. how to use angularJs filters.